Hi,If you do not have the necessary knowledge about belaying, it is compulsory to participate to an introductory lesson, in order to learn these basic techniques.In the same time, the belayer should know the belaying technique perfectly - either if we discuss about leading or top-ropingAccordingly to many climbers, bouldering is the purest climbing form. Without being conditioned by harness and rope, you can practice technical elements or the hardest climbing moves, all these at a reasonable height. 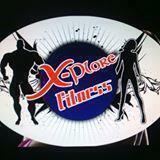 X-plore fitness conducts classes in Gym. It is located in Kadugodi Post Office, Bangalore. It takes Regular Classes- at the Institute.